I built a deck when I was nine years old. Ok, maybe my dad and his architect best friend built it, but in my own tomboy mind, it was my deck. The marvel of redwood catapulting over the ravine in our backyard was an engineering feat I wasn’t going to miss! Scorching summer heat dictated deck work start early each day. The cool, moist humidity was energizing early compared to its oppressiveness later in the midday sun. I was the gopher-go for this and go for that. I ran for cold drinks, nails, stain-whatever was needed. The drippy sweat off the cold drinks and cool breezes under the shade of the birch tree refreshed me while I watched Dad and Mr. L bury support poles, saw wood and pound nails. The acrid smell of the stain on those giant support posts burned my nose! I retreated to the air conditioned comfort of our avocado colored house on those days. But the musky, caramel smell of the redwood planks of the deck, now that, I loved. To this day, the smell of wood still comforts me. My deck building summer is a memory with my dad I’ll always treasure. My dad recently found a picture of me on our new deck circa 1970 something. I look so proud in my favorite orange t-shirt and shorts, red socks and blue knock-off Converse tennis shoes. Looking at this picture brings back the smell of redwood, cool breezes amid summer humidity and being dad’s little squirt when we built a deck one summer. Maybe you have memories of your dad you can bring back with a smell or comfort of a summer wind. I hope you shared these with him yesterday for Father’s day. Memories are our identity. 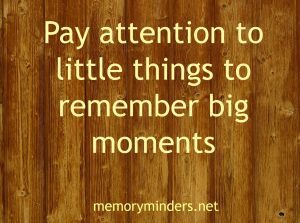 How we sustain, retrieve and build them is my passion and the inspiration behind MemoryMinders. And that picture of me on my deck? It’s right next to me on the bulletin board in my office. It reminds why I help people with their memories as I recall my deck-building summer. Enjoy making memories this summer, maybe one day they will provide you with comfort and inspiration too! What a sweet memory, Jill. I could smell that redwood! I didn’t have a deck, but plenty of friends did. That smell brings back great sunny,carefree afternoons and warm feelings! Nice post! Thanks Teresa-let’s bring back all those carefree afternoons making new memories! Thanks for stopping by! Yes-it always flies by, doesn’t it? 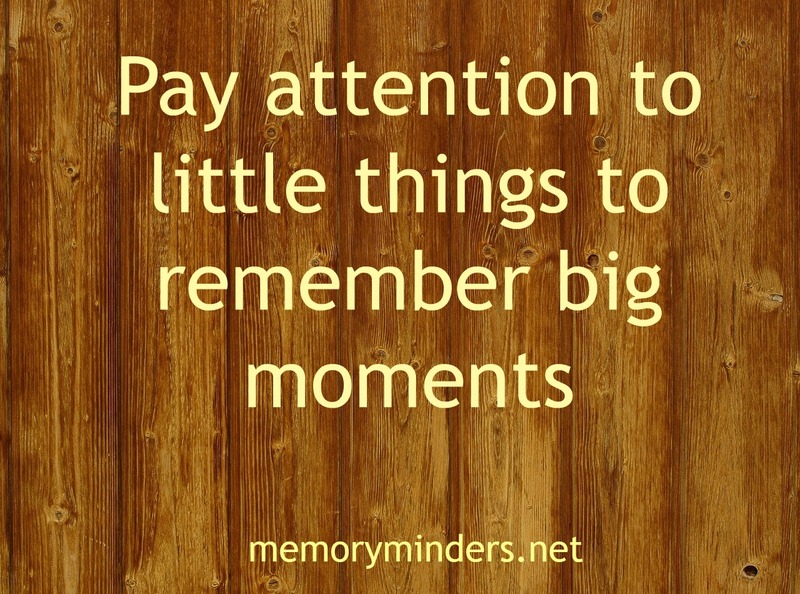 Let’s be purposeful in making great memories this summer! Thanks for visiting and your comments Sarah! Thanks Rachel! Here’s to all our memory making this summer! I have similar memories of being a gopher during my Dad’s projects! So happy to have found this site! I have a feeling ill be sharing lots of your posts as I encourage women to embrace their MEMORIES as the become the MASTERPIECES God created them to be!! Blessings!! Thanks Liz! When we embrace all the ways we can help our memory, we not only help ourselves but all those around us! Thanks for sharing and stopping by! Will love to have you help me encourage others to embrace their memories!